We welcome every anime season by highlighting all the upcoming projects that don’t simply have an appealing premise, but also the talented staff and positive surrounding circumstances to bring it all to fruition. Spring is going to be quite the heavy season, so let’s waste no time! 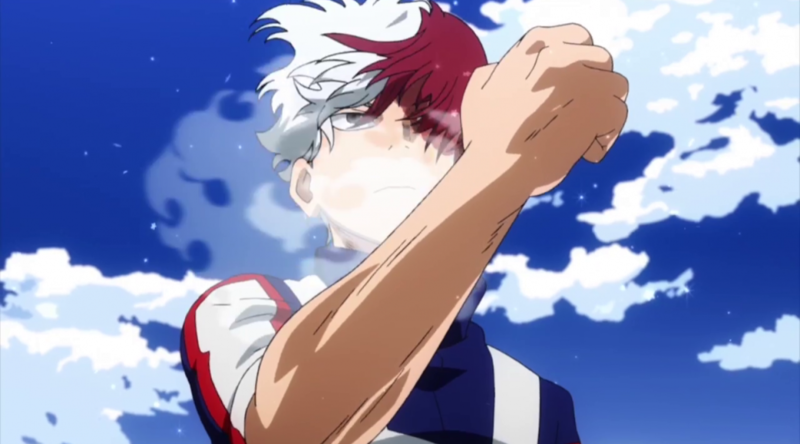 Liborek: After a nine months break, HeroAca returns with more changes than one would expect. The biggest and most evident one is the switch of TV networks, thus the replacement of MBS by Yomiuri TV in the production committee; this adaptation was already kind of a big deal as far as TV anime goes, and with this move (rather unplanned, though definitely positive) it’ll be even more in the mainstream spotlight. You can speculate about whether or not that will also lead to a greater funding, but what will definitely benefit the series is the much stronger production schedule. Season 2 will run for two consecutive cours, and to accomodate for that the animation process is fairly ahead this time around. Season 1’s scheduling problems and unevenness shouldn’t repeat themselves, at least not until the final stages. Despite Yoshihiko Umakoshi himself being linked to other upcoming projects, the general climate is much better for the sequel, and BONES are capitalizing on that by getting work done early and allowing much more polish. The third major change is in the production and animation staff. Naoki Amano of BONES’s sub-studio A is stepping down as HeroAca‘s animation producer to focus on Blood Blockade Battlefront & Beyond this Fall. Instead, season 1’s chief producer and head of BONES’s sub-studio C Yoshihiro Oyabu is assuming the role. We can expect a whole new set of supervisors and animators from Studio C and Oyabu’s contact list to work on the show. The departure of Kazuhiro Miwa to Granblue Fantasy certainly hurts, but if he’s being replaced by the likes of Yutaka Nakamura, I don’t really mind! Overall, I think we can expect a more stable production with many highlights. And of course, Kenji Nagasaki’s grasp of inspiring heroism alongside Umakoshi’s striking design work – those are going nowhere! By all means one of Spring’s most succulent offerings, especially if the new structure allows for non-glacial pacing. 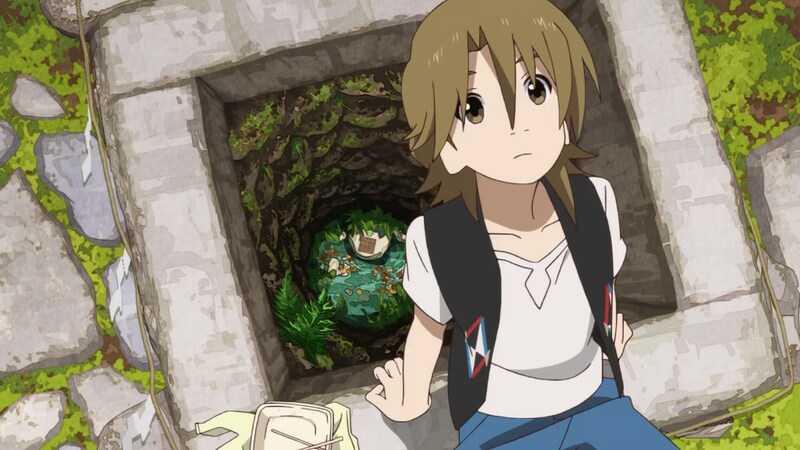 Kevin: Uchouten Kazoku was an exceptional series in many regards. Seeing its gifted director Masayuki Yoshihara releasing new work, let alone something significant like a whole show of his own, is an exciting event in and of itself; just so that you’re aware of how rare that is, ever since the first series around 4 years ago, Yoshihara has only storyboarded two TV episodes, a gag OVA…and that’s it, no more public credits. This isn’t to say he does little work of course – for the first season he storyboarded nine episodes on his own, so chances are that he’ll do something similar for the sequel. Standard TV anime projects don’t allow for approaches as meticulous as his, but as P.A. Works co-founder Yoshihara is in a bit of a special spot. The studio as a whole appears to transform under his direct guidance, lending credence to the comments that he’s a very demanding creator. While P.A. Works are perceived as a high profile company, and despite their genuine attempts to become an animation powerhouse, the truth is that their average output is…well, average, within an industry where that is bad news. Some directors like the BONES-affiliated Masahiro Ando can elevate their standards, but it’s Yoshihara who takes them to a whole new level. What does that exactly entail? Richer layouts, more ambitious sequences, even exploiting the company’s bonds with Production I.G that have been vanishing over time. For the first season, Yoshihara and P.A. Works’ president Kenji Horikawa requested the legend Toshiyuki Inoue to help them years beforehand, a request that he only accepted due to old friendships; Inoue does show up on their shows now and then because of that, but the difference between his standard cameos and the extensive job he did on Uchouten Kazoku is jaw-dropping. Even when an industry superstar like him isn’t at helm, the series is filled with small details like the short cuts of actual crowd animation that help bring to life Tomohiko Morimi’s always fascinating depiction of a magical Kyoto. This series isn’t your standard animation festival, but it’s patently obvious that it’s commanded by someone with true understanding of the medium. I don’t want to say too much since chances are I will cover the series in some way or the other, so let’s leave it at that for now and just say this is by all means the most exciting spring series as far as I’m concerned. Liborek: Much like HeroAca, Bahamut‘s first season had some scheduling issues that led to uneven production quality; spectacular highs, but those only made the descent into mediocrity all the more noticeable. Season 2, which will run for 2 cours, is seemingly being produced under a better schedule as well. People within MAPPA already mentioned a few months back that part of the reason why Yuri On ICE!!! ended up in such a messy state was that they had decided to tackle Bahamut early, essentially betting on one fundamentally screwed production rather than two. There’s a catch, however: in spite of that, MAPPA’s lineup of upcoming shows is rather worrying, with another 2 cours show – Shoukoku no Altair – starting in Summer alongside a one cours adaptation of Kakegurui. Whether this will affect Bahamut’s production on the long run or not is as of now unknown, though MAPPA as a relatively small company will likely be forced to rely a lot on outsourcing anyway. But if you want a more positive point of view, look no further than the fantastic promotional videos! There’s a scene that clearly appears to be Sunghoo Park’s work, and people suspect that the legendary animator Shinsaku Kozuma also worked on the show to some degree. 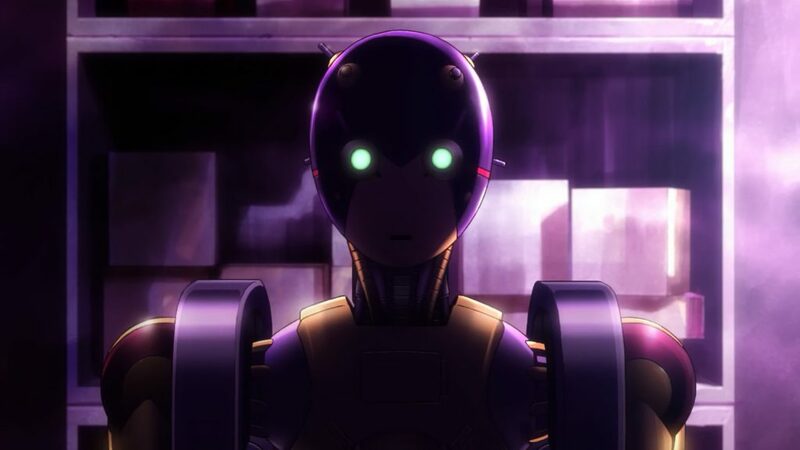 Reports from the prescreening event of the first four episodes early in March also revealed that none other than Norio Matsumoto worked as a key animator early on. The audience seemed to be impressed with the production quality exhibited, so this is definitely shaping out to be a strong candidate for the sakuga throne. Kevin: While nasty fans yelled at the official Twitter account over the implication that the second season of Attack on Titan will only be 12 episodes, the committee issued an apology…that the series will be so good it’ll be hard for you to focus on other stuff. Delightful timing for a totally unintended response! The return of this megahit also marked the comeback of nostalgic arguments. Will studio WIT be alright despite all the other projects they’ve got lined up? How come they keep using preanimated footage on all the promotional videos? The former is always a mystery (though shorter length would help), and while the latter is a legit point as those PVs really are coated in lies, I appreciate the honesty of their content – for the good and the bad, they present Attack on Titan as it is. The action is frenetic and immediately sells itself as exciting, and yet we’re also back to absolute spatial nonsense; I never advocate for realism as a necessity in animation, but there’s something rather disorienting about the 3D layouts of this series. The effectiveness of its action seems to rely on how much you’re capable to ignore the inconsistencies that appear by the second while simply enjoying the cool choreography. This isn’t to say that people bothered by it are smarter viewers, if anything I wish it didn’t turn me off so much so that I could appreciate the genuinely cool pieces of animation. When it comes to the staff, the sequel preserved its structure while making some interesting changes. I’ve grown a bit allergic to Tetsuro Araki’s aggressive directional style, but as someone who appreciates his storyboarding prowess I feel like it would be a shame if his new Chief Director role kept him away from more hands-on work. The lineup of action animation directors is still the show’s greatest asset, and the effects master Arifumi Imai keeps on leading them; I’ve always felt like it was kind of a shame how an animator capable of crafting such gorgeous FX was tied to a series that’s all coated in aesthetic and metaphoric dirt like Attack on Titan, but his work there is strong nonetheless. The most important change is another of the action stars, as Yasuyuki Ebara is stepping down to be replaced by another action expert of Production I.G roots like Takuma Ebisu. A fair trade, although after Tatsuro Kawano’s fantastic work on Kabaneri I feel like they could have gotten more adventurous with it. And speaking of its sister series, Attack on Titan season 2 will use the make-up animation process they pioneered on that series – essentially, a method to add extra digital detail to the drawings even before the regular photography effects are applied. It doesn’t seem to be as heavily used in this instance, so we’ll have to wait and see how the titans fare with all these small changes. Liborek: It’s rather touching how Hiroyuki Yamashita, an animator who matured within the Naruto franchise, is celebrating his TV anime directional debut on its successor. It’s no surprise however, as he already directed the fan favorite Boruto movie, where he assembled an outstanding team of animators including his master Norio Matsumoto, Attack on Titan‘s Arifumi Imai and many more. He poured his soul into the film with such fervorous enthusiasm that he had to be hospitalized multiple times due to overworking. Perhaps so that this situation doesn’t repeat, studio Pierrot called an experienced director like Noriyuki Abe to his aid. Some of you might recognize Abe as Yu Yu Hakusho and Bleach‘s director, which makes it obvious he’s a very reasonable pick for a series like this. As the chief director, he will probably handle the narrative and structural framework plus the management and supervision duties, allowing Yamashita to focus on the production side with less worries. Visually, the show already feels like a massive step-up from the drab and weirdly dated appearance of the Naruto TV anime. I hope fans of the franchise can understand just how lucky they’ve been with this staff. Kevin: Granblue has already been a topic of discussion on this site, for seemingly negative reasons…though those are also a reason to hope. To sum things up, its broadcast was unceremoniously delayed from its intended winter broadcast, a decision apparently taken rather late. Not the best circumstances, but I can’t stress out enough how lucky the staff – and viewers, to be honest – are that the series has been allowed extra production time. A regular project would have been shoved out the door in a half-baked state, which means that at this point we’d be seeing frankly horrifying credit lists. There are many reasons that might have led to its messy state, from unfortunate staff overlap with other projects to the attempt to match the fanciness of the original art (though not its actual aesthetic) in animation form. But whatever the reason, Granblue has been granted 3 extra months that will hopefully rescue the project. And given enough time, the show does have a lineup of creators that could allow it to shine. Toshifumi Akai’s involvement appears to have ended after the designing process, but he’s hardly the only star they gathered. The directional duo, particularly the experienced Ayako Kurata, have gained my trust through a multitude of A-1 projects where they did solid work away from major spotlights. And as mentioned in the HeroAca entry, Kazuhiro Miwa will be the show’s main animator alongside the equally capable Yoshinari Saito. Their styles are nothing alike yet they both are ace action animators, so look forward to some spectacular work – which you can already sample. These sequences also highlight a potential issue with the series, since the director of photography Yoshihiro Sekiya has developed a very unique style that Occultic;Nine fans will immediately recognize; at its best it makes the linework all the more attractive, but it can also create a very awkward disconnect between characters and the world they inhabit. There’s no denying that there are some possible issues to keep in mind, and I don’t expect Granblue to be as compelling of a fantasy adventure as Rage of Bahamut was at its best, but Cygames seems to really care about their products; a company of their size could be churning out anime adaptations left and right, but they take their time and make sure it’s up to their standards. Kevin: I believe it’s shows like Alice & Zouroku that are most important to highlight in previews, since they’re at real risk of being overlooked. Unlike other projects in this list, this won’t be backed by an army of outstanding animators. You can try to sell it as an award-winning manga, but I’m not confident that the premise of a reality-bending young girl meeting a grumpy grandpa will grab viewers at large. And even though its director Katsushi Sakurabi is a gem, he doesn’t have an idiosyncratic enough visual style to quickly catch people’s attention. Sakurabi has been at JC Staff for a long time – enough to work with their golden age creators, as he was a recurring director, animator and even layout supervisor on Utena. I have to admit though, it took me a while to come to appreciate his work, due to a combination of poor luck when it came to the projects he was given and spending 5 years without directing a new show. And it’s precisely some of his very recent output that should tell you he might be a perfect fit for a series like this; the Flying Witch anime sparked that delightful sense of wonder when it came to supernatural powers existing in a mundane modern world, and it was made much funnier by the restraint he applied to all ridiculous gags. I feel like few directors have a solid grasp of that almost Yotsuba-like naturalistic approach without stepping into dull territories. All in all, Alice & Zouroku seems like a perfect fit for him. And if we look at the animation side, Kazunori Iwakura is also a bit of an overlooked JC Staff pillar. Amongst certain circles he’s still known for his spectacular work on the Orphan Revenge opening, but otherwise he seems to blend with so many more 00s character designers. If you pay attention though, you might notice that he’s supervised some of the studio’s most impressive animation spectacles in modern times, like the astonishing DanMachi #8. I’m not sure if he’ll be able to do all that much hands-on animation direction work, especially since he’s also the designer for a summer series, but I can only hope the studio being rather busy doesn’t suffocate this show. There are other spring TV anime that I’m more confident about, but there’s no way I can stop myself from cheering for Alice & Zouroku, a confluence of talented yet not overly flashy staff with seemingly charming but not loud material. Ryan: 2016 was a fantastic year for Ryohei Takeshita. His position as assistant director for Dogakobo’s New Game! and all his neat Fairies Story 3 concept work – including the fake game’s intro featured within the show – no doubt strengthened the cache that has allowed him to finally make his directorial debut. You may also remember him as the person behind what I would say was far and away the best episode of Flip Flappers. He’d been proving his capabilities long before then as well, notable with his role as chief episode director for Monthly Girls’ Nozaki-kun and his contributions to The Disappearance of Nagato Yuki-chan – safe to say the comedy aspects of this show will be on point! Two issues do exist with this project, however; for starters, his departure from Dogakobo to A-1 has already lead to unfortunate developments, as seen through his desperate call for animators and episode directors to work on the show a mere few months before the broadcast. And on a more personal note…the content of the show itself. If the mere premise of the series puts you off, then no staff magic is going to solve that. While on this site we make some – hopefully compelling! – points about execution having much more weight than a mere synopsis, there’s only so much creators can do with fundamentally flawed work. I’d much rather have seen Takeshita lend his talents to something not intent on billing itself as the next Oreimo, but if this leads to further recognizement for him, then so be it. Director aside, reports from the pre-screening event at AnimeJapan yielded some interesting facts. One is the existence of a dedicated Sagiri Animator (as in, the little sister character), who seems to be none other than Keisuke Kobayashi. On one hand: what in the world is this role? !, and on the other: Kobayashi just so happens to be a fantastic fit for it, to be fair. I’m not sure how to describe his particular brand of character animation as anything other than entrancing, so instead I’ll allow his work to do the talking instead. If you made it through last year’s Occultic;Nine, then it’s easy to point to the surprising amount of work he put out for it. Back to personal notes though, it’s his contributions to Working!!! which made me come to appreciate him most, the series’ ultimate climax being the greatest standout. It’s not 100% confirmed if he’ll be making regular appearances on the show, or if the dedicated Sagiri role will change hands with each episode, but viewers will certainly be in for a visual treat should the former prove to be true. Kevin: Even if you don’t find the idea of a prequel to Osamu Tezuka’s legendary Astro Boy a very appealing concept, Atom: The Beginning is quite the exciting project. It’s the first full length TV anime series coproduced by Signal.MD, I.G Port’s new digital animation endeavor. The studio amalgamates both adventurous industry stars linked to Production I.G and new generations of non-traditional artists, with the aspiration of advancing the craft through their collaboration. In that sense, and even beyond the obvious links between the companies, OLM’s presence makes sense since they also use TVPaint as a digital animation tool and constantly attempt to experiment with new production paths. But let’s go back to Atom itself, since its key staff embodies Signal.MD’s motto as well; the series is in the hands of a renowned scifi director like Tatsuo Sato, but also features entirely new talent like the prop designer mebachi. 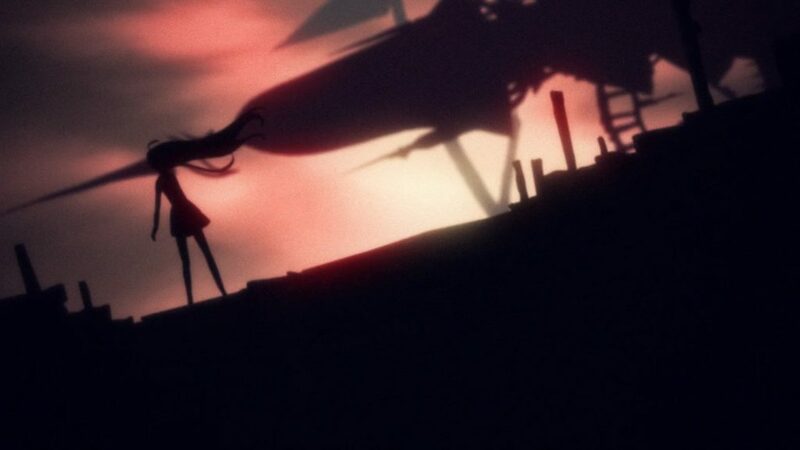 The opening sequence is perhaps an even more illustrative example: it will be Bahi JD’s debut as OP director, storyboarder and supervisor, and its credit list features both legends like Mitsuo Iso (who was likely still around the studio because of Hirune Hime) and very young impressive animators like Toshi Sada. If we step back a bit from this interesting mix of old and new talent, I have to admit that I’ve been a bit disappointed by the actual PVs and commercials, since they revealed that art direction and color design aren’t exactly inspired – not truly awful, but not distinct nor immediately attractive in any way. Here’s hoping the direction is strong enough to succeed in spite of it, so that Atom isn’t just an interesting experiment. Ryan: Let’s be blunt and say that Saekano‘s first season was a far cry from nuanced direction and memorable visual storytelling; long gone are the days when Kanta Kamei seemed to be starting a memorable directional career with Usagi Drop, although his understanding of animation has remained as strong as you would expect from someone involved with so many stellar Production I.G projects in the past. That said, inspired vision isn’t required to feature isolated pieces of strong animation, as Saekano already proved. Its sequel will likely fare similarly, so those of you interested should already know what to expect. The lack of a proper PV this close to airing – not to mention the character designer/chief animation director Tomoaki Takase having to rush over to this after clearing up Occultic;Nine in December – only spells trouble for the production itself, too. Why bother featuring this at all, then? Well, sometimes risky landscapes like this actually pay off when you gamble on them. According to certain comments on Twitter, a notorious crew of talented youngsters have made their way onto the show, which could be exactly the sort of spice it needs to avoid being flavourless. This is a gamble though, so let’s not get too disappointed if it’s not a significant collaborating and those genius nerds were just joking on Twitter as they usually do. There’s also the possibility of the talent pool on Eromanga-sensei leaking over to this due to the…questionable nature of A-1’s management. As usual, this preview comes to an end without having covered every single show with some potential, but considering the industry’s ridiculous output and the thinly spread talent you can imagine that’s not exactly feasible. We’d like to give quick mentions to a few more projects nonetheless, such as Re:Creators and its director Ei Aoki, who isn’t as much of a critic darling as he used to be but could still pull off something interesting with such ridiculous multiverse premise. There’s no way I can forget a personal favorite of mine like majiro, who happens to be handling the animation character designs of both Kabukibu and Kenka Bancho Otome; Macross Delta has no doubt boosted her popularity a lot, but I hope that having so much work doesn’t keep her away from animation as her work is delightfully expressive. 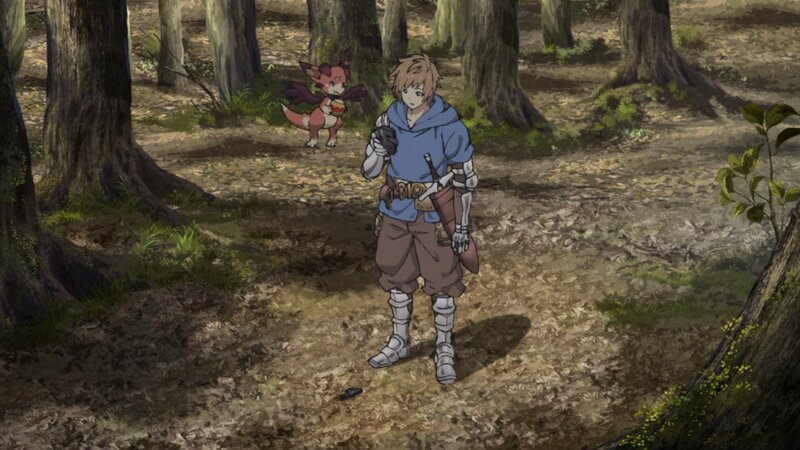 ShinEi’s Laughing Salesman NEW and the Danmachi spinoff Sword Oratoria also have earned a nod, though it’s doubtful whether the latter will manage to attract the same excellent animators as its predecessor like Hiroshi Tomioka after the staff changes. Starmyu‘s sequel might keep attracting talented fellows like the very experienced Keiji Gotoh, who feels at home staging performances. Then we have Sukasuka, which may prove to be a bit of a dark horse itself if the new PV they showed at AnimeJapan is any indication. Plenty to look forward to either way! I think the main issue (or for me personally, at least) is that AoT has the western AAA videogame brown syndrome by nature of its setting. You won’t really find lots of super colourful work within it like what he did for Rolling Girls, just as an example. Glad that you mentioned the Orphen Revenge opening when talking about Kazunori Iwakura, is one of my favorite openings of all time, being another one the OP1 of the first season of Orphen…by Masahiro Ando, quite interesting how such a forgotten series attracted so many talented folks on its time! You’re not alone, he really seems to be “the Orphen Revenge opening person” for a bunch of animation fans. I really hope this project turns out well and that all its core staff starts getting more recognition. I’m surprised the new Free film wasn’t mentioned yet.